Our neighbors to the north currently have, as you might have guessed, 3,950 non-indigenous leeches stuck in customs limbo. “How did such a large number of leeches end up there?” you, a total rube, might ask. I promise you, this goes much deeper. We asked Canada’s Centre of Environment and Climate Change about that. They haven’t replied yet but probably someone had the very tedious job of counting and cataloging 5,000 individual leeches. Is that it then? 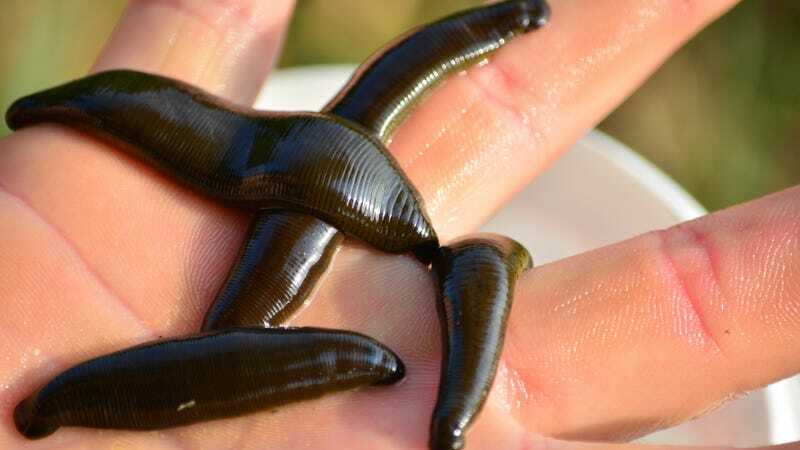 Are we ever gonna find out what was up with all these goddamn leeches? Hard to say, but an official with the Centre of Environment and Climate Change told National Geographic that leech guy is due for a court hearing next month.